You’ve probably heard the saying before: Being a small business owner means wearing many hats. As the owner of a laundromat, you’ll most likely also be the hiring director, and when your business grows, you may wish to hire a manager. 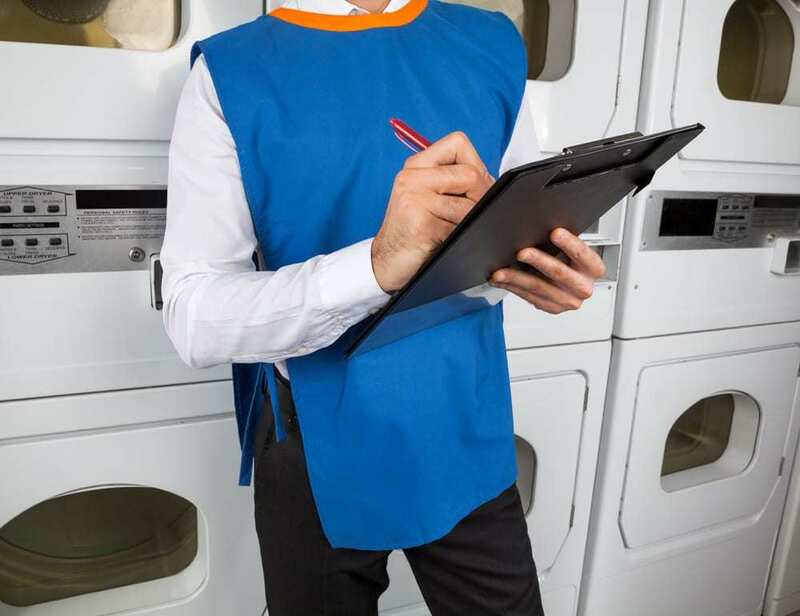 While part of knowing what to look for in a laundromat manager involves common sense, there’s more to the task than that. Hiring a person you can trust will help allay your worries when you’re away from your laundromat. When sifting through resumes, don’t immediately toss out any application that doesn’t have laundromat experience. While laundromat experience is a great plus, you can easily train a person on machines, cleaning, and customer service. However, it is more difficult to train someone on management, and unfortunately, some people just aren’t cut out for leadership. Instead of looking for laundromat experience, focus on management experience, and make sure to contact their references. Another important thing to look for on a resume is the length of time a person has stayed at their previous jobs. If they tend to only stick around for a few months, it could be a sign that they won’t be a good fit for your managerial position. It usually takes a person a year to get fully acclimated to a new job, so you will want a manager who can commit to at least two years. Once you narrow down your candidates based on their resumes, it is time to conduct interviews. During the interviews, you should not only pay attention to what they say but how they say it. A manager should be able to maintain adequate eye contact and speak with confidence. If you don’t feel at ease when talking to the candidate, chances are your employees and patrons won’t feel comfortable either. The laundromat business is competitive, so providing excellent customer service is crucial. Of course, you should also take note of how the person presents themselves for the interview. Are they wearing professional clothes? Do they arrive on time? If the candidate can’t put forth the effort to properly present themselves on the interview day, he or she may not dress appropriately on a typical workday. Two character traits that often become undervalued after childhood are curiosity and creativity. However, managers with these traits make great problem solvers and may look for out-of-the-box ways to improve the business. You will definitely want a manager who can problem solve so that you won’t get frequent calls while you’re off the clock. During the interview, pay attention to how many questions the candidate asks. If they don’t have any questions for you, it could be a sign that they are more of a follower than a creative, curious leader. Now that you know what to look for in a laundromat manager, it’s time to start advertising your job opening. To ensure that you’re attracting qualified candidates, be sure to maintain your laundromat, keeping the space clean and the equipment in good condition. If your machines are outdated and hard to work on, potential managerial applicants may choose not to apply. Does your machine inventory need a facelift? Check out Laundry Solutions Company, a full-service provider of premium vended, on-premises, and multi-housing commercial laundry equipment. Our leasing program provides no mileage fees, no service fees, and no parts fees. You will be able to use high-quality Speed Queen equipment while enjoying a flexible lease and predictable payments. To learn more about our products and services, please give us a call at 800-838-9274. We look forward to hearing from you!